Sitting at bar. Better than most bars I’ve sat at. Place has huge ornate glass windows and long bench seats. Very intricate and taverny. 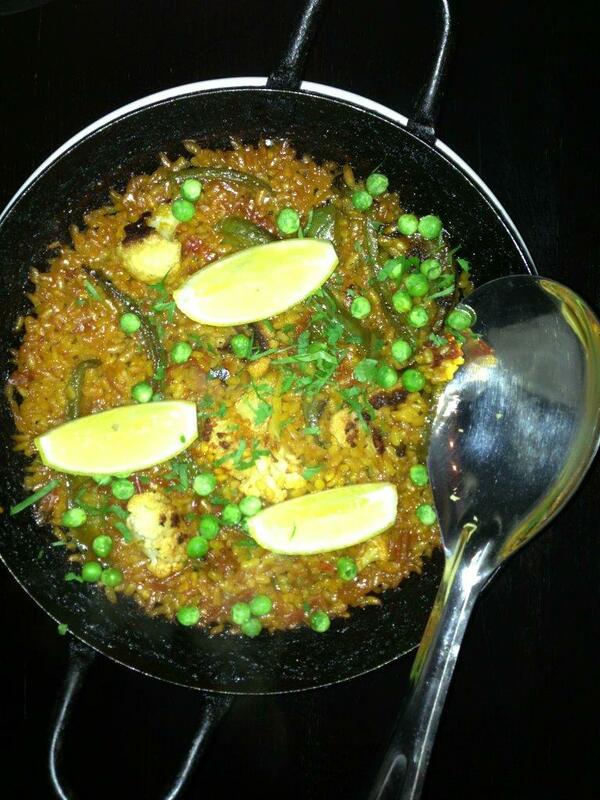 Bomba rice, capsicum, tomato, cauliflower, peas. Taking its time. As always, my food arrives ten seconds after I type that. While that was described as a “paella”, it was more like some cooked rice with a few vegies thrown in. Other than a mild “burnt” flavour, this was extremely bland. Cauliflower, capsicum and peas are fairly bland themselves, and obviously just added more blandness. The only source of any flavour in this dish was the things I squeezed lemon onto, and that was something I didn’t manage to master. Eating fried rice on its own would be more interesting than this dish. 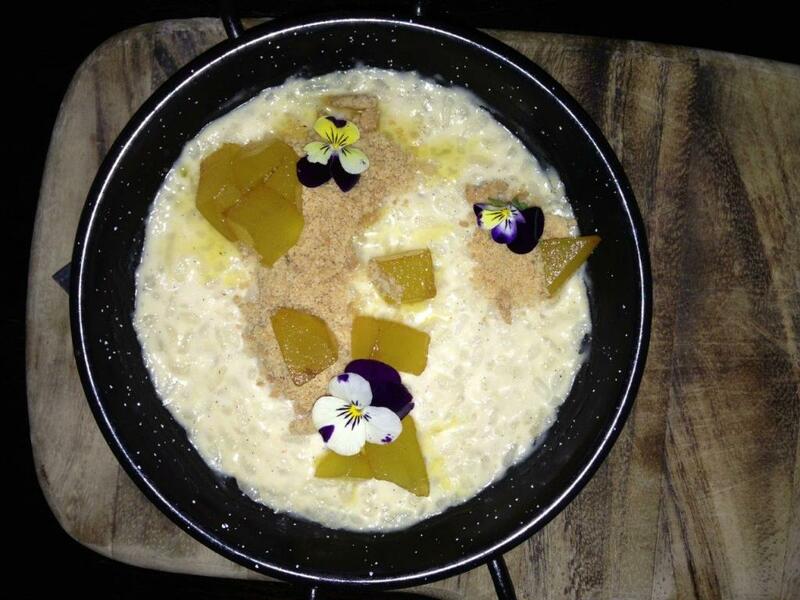 Rice pudding, saffron poached pears, crumble. Things come in little pans here. To my surprise, this was served at room temperature. It was a typical rice pudding, but with a “crumble” on top. This crumble was like biscuit crumbs, but with a cinnamon flavour. The pears on top were just little cubes of poached pear. There was nothing special about this at all, except for it unnecessarily being cold.